Open vacancies for novice traders Forex and binary options, on a competitive basis. While we recruit 5 people. An unlimited number of people can participate in the contest. Past the competition (5 places) provide Finance and an account to work in our team of traders. There are 4 places left. One trader has already passed the competitive selection. Not everyone has the opportunity to invest in their work. But there is a desire and desire to work and earn well. We provide all non-gambling, diligent and smart people with such an opportunity. It is important for us to find partners for long-term and mutually beneficial cooperation with our team of traders. We provide free training in a special, closed group Vkontakte. Our plans include the opening of United learning center with the assistance of successful traders, and for training in the real world. During 2019-2020 we hope to work out complete methods and implement this idea with the subsequent opening of branches around the world. 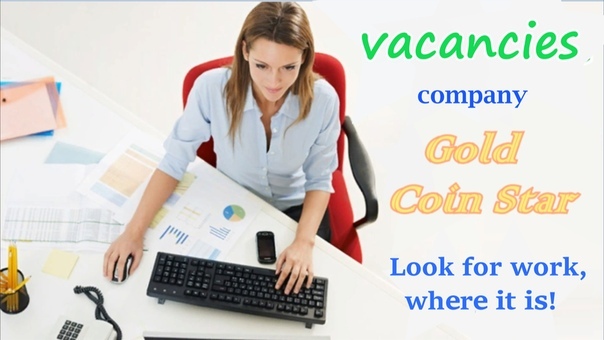 For detailed conditions you need to contact us by writing a letter to our e-mail: support@gold-coin-star.com s marked-Vacancies. In the reply letter you will be sent the terms of the competition and working conditions after the competitive selection. Sincerely administration Gold Coin Star. All rights reserved. Copyright © 2018 - 2019 Gold Coin Star – «Gold Coin Star LTD».